390x now or R9 Fury in a month? With the results of the R9 Fury X being a bit disappointing at the $650 price point I wanted to get peoples opinions on what course of action people would take in buying a card from the red team. Buy a 390x now $320, which is just another rebrand of the 290x and allegedly the increased performance is all down to the review driver. Wait a month for the R9 Fury $550 (allegedly). Which will likely have similar performance to the R9 Fury X, but just run a bit hotter due to the air cooling. Also taking into account that this is HBM's first iteration, and is at least for now limited to 4gb. Why do you need to upgrade? What are you using now, what games are you playing, and at what resolution? There is no 390 Fury. 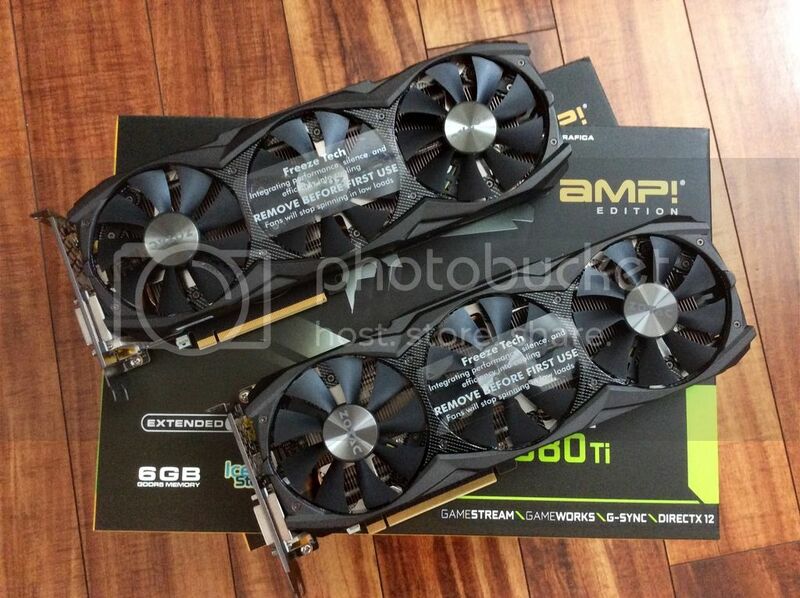 It's the R9 Fury X, R9 Fury, and R9 Nano for the Fiji parts. Why not go for a GTX 980 Ti? Or hell, just Crossfire a couple of these. Yeah, can't blame you on the naming scheme. If the Fury X was priced at $550, I feel it would be an easy recommendation, especially with the performance it offers. At the $650 price point competing against the 980 Ti, no. If you don't mind waiting a few weeks, as you seem to be, the Fury would certainly be a possibility, provided the performance matches the Fury X. Otherwise, the 390 or 390X would be worthwhile upgrades. why not pick up a 980 ti in a month im sure it will be in the $550 price range. Get the Fury or the 980Ti. Don't reward the rebranding, so what if you have to buy a Gsync monitor instead of a freesync one! Savan.....so did you get a Fury? I was waiting for them to come out too but could not wait any longer. That is alot of power right there. I would however wait and see what the R9 does and see what it has to offer before buying up. I did read up on some of the reviews for the Fury. They all seem to conclude that it is positioned in between the 980 and 980ti. It also did really great on 4K resolution. What pushed me to get the 980Ti is the availability of the Fury, I simply could not wait any longer to run my 4K monitor for Witcher.